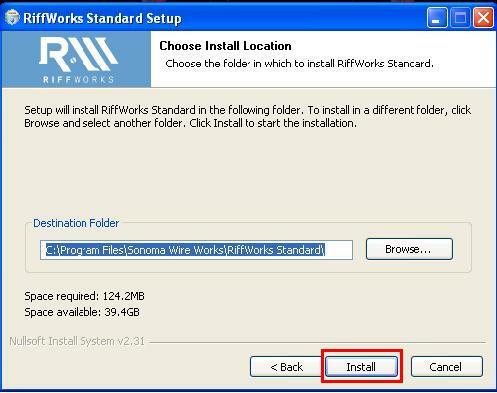 This document covers the registration and installation of Riffworks Standard 2.5. 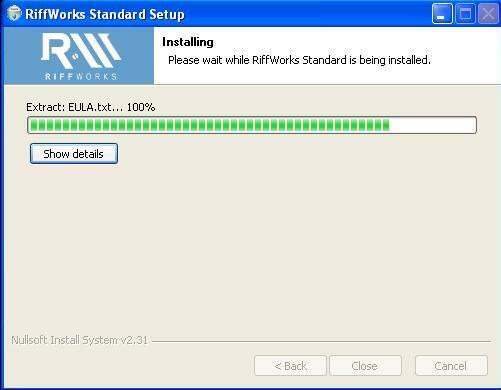 1) Once you have purchased the RiffWorks standard licence, locate your license under "software license keys" at the following link: http://line6.com/account/purchasehistory/ Click the details link beside the Riffworks license you just purchased. 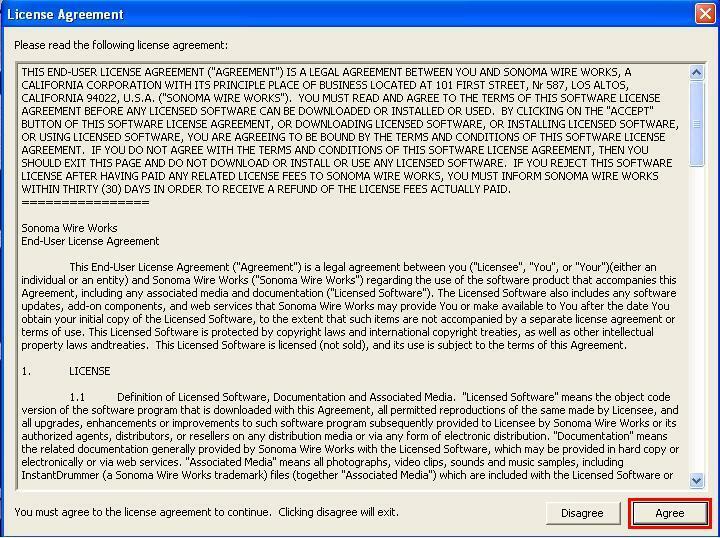 On the next page, under Order Items you will see the license key and Windows Mac and Drummers downloads. 2) Once you have selected the operating system you will be prompted to download the file to your system. Select "Save File"
3) Once the file has downloaded to your system you will need to install the software. 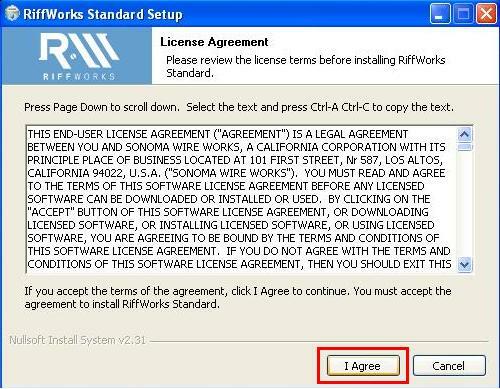 Select "I Agree" to proceed with the installation. 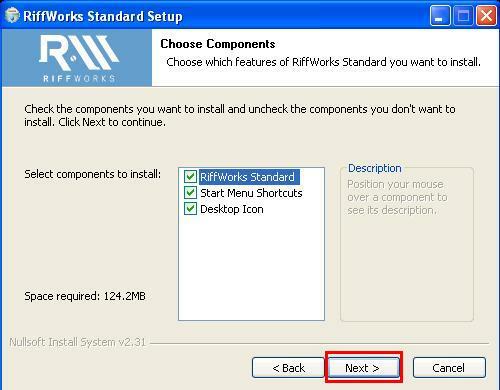 4) Riffworks will ask you to select the components to install, then select "Next"
5) RiffWorks will select the installation path, then select "install"
8) You will be prompted to enter your log-in information (this is NOT your Line 6 log-in). 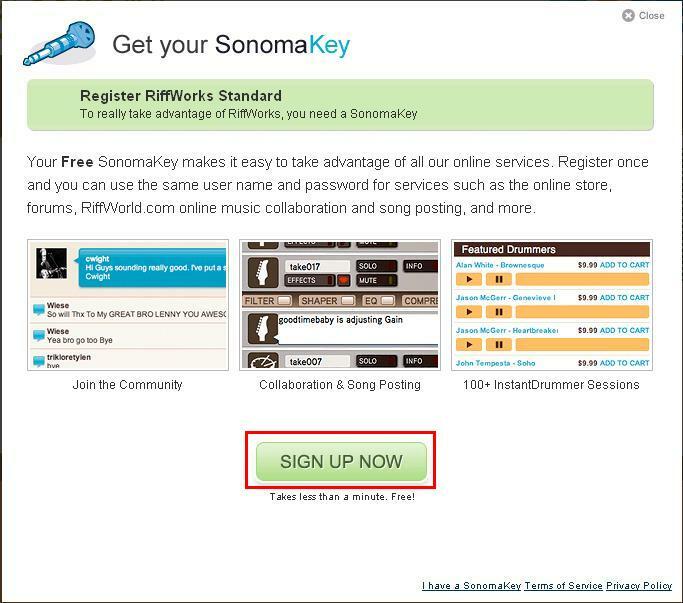 If you have not already created a Sonoma Key or RiffWorks account, select "Register". This will open a new page in your web browser. 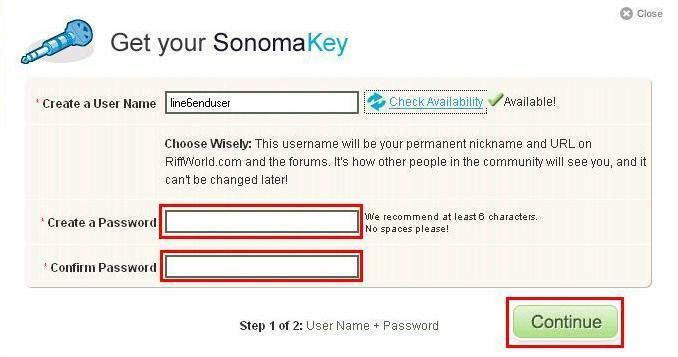 9) Select "Sign Up Now"
10) Create a user name, then check the availability by clicking the button to the right of the user name box. 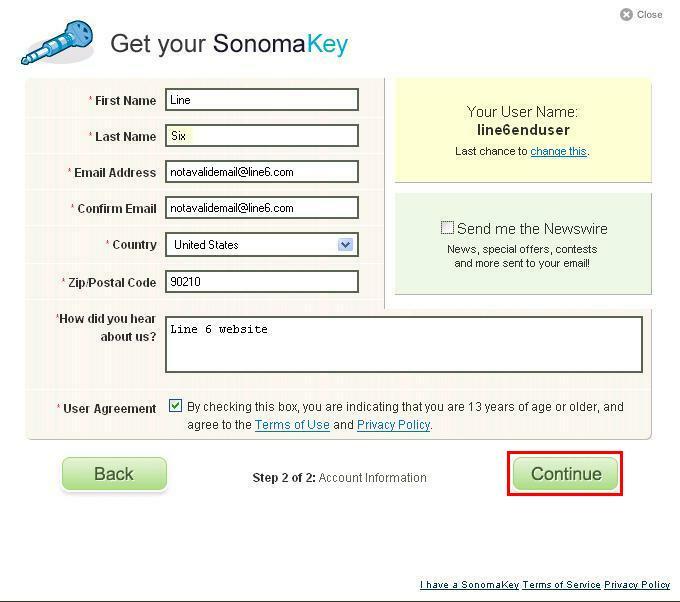 Once you have a user name that is available, select/verify your password and select "continue"
11) Enter the required information, then select "Continue"
12) Check your email for the registration details and select "Finish & Close"
14) Agree to the end user agreement. 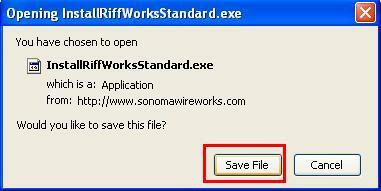 Now you are now able to use your RiffWorks Standard software!